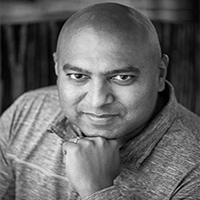 Chetan is a serial entrepreneur with over 20+ years of experience in authoring and architecting mission critical software. His expertise includes building web-scale distributed infrastructure, personalization algorithms, complex event processing, fraud detection, and prevention in investment/retail banking domains. He was most recently Chief Data Officer and GM Operations at CloudPhysics. Prior to CloudPhysics he was part of early founding teams at CashEdge (acquired FiServ), Business Signatures (acquired Entrust) and EndForce (acquired Sophos).